Virtual and Augment Reality used to be viewed as a gaming and entertainment product only, such as the hit game Pokemon Go. The issue with VR & AR used to be is that the headsets were too expensive and the technology was not as developed as expected. 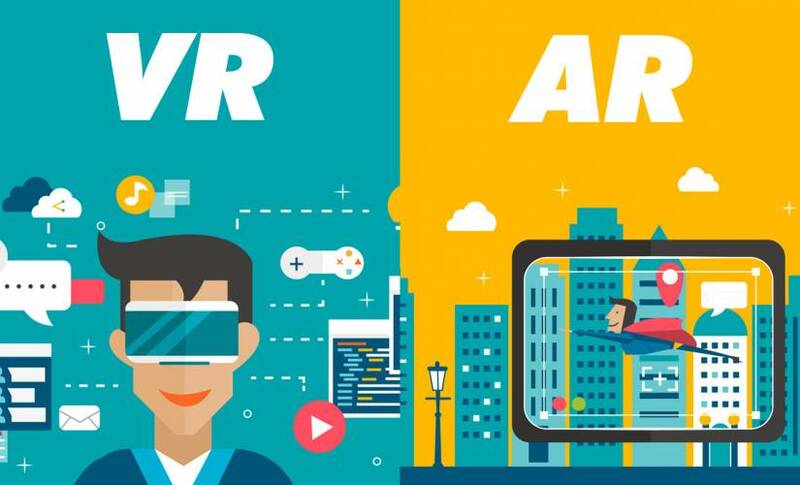 Now with IT playing such a big role in businesses and VR & AR costs becoming affordable, businesses have started to invest in VR & AR. Big companies like Addidas, Walmart, and IKEA have already tried to gain a competitive advantage by using VR & AR as a business application. Addidas used AR technology to sell limited-edition shoes at a convention so that users could point their phone at AR-signs and view shoes that weren’t there physically. Walmart used VR & AR for training new employees before they hit the floors. One example for Walmart was that the VR & AR training experience would prepare new employees for the increased volume of customers on Black Friday before the actual event. IKEA, which I think is using AR in a fantastic way is offering users to view furniture and appliances through their smartphone so that they could visualize how the product would look in their home before they bought it. Flexential, an IT infrastructure company even brought their data center to trade shows to allow customers to walk around their huge data center, that is tens to hundreds of thousands of square feet through VR. I think VR & AR are going to become a huge part of businesses in the near future. With big companies like Walmart, Addidas, and IKEA investing more into VR & AR, I think it is time for smaller-medium sized companies to start to invest in VR & AR to gain a competitive advantage. Costs have become much cheaper for VR & AR and headsets such as the Oculus Go sell for an affordable price of about $199. Do you think big companies can create a competitive advantage by investing in VR & AR? What about smaller-medium sized companies? Good insights, Sam! I was very impressed with the applications that Adidas, Walmart, and IKEA have created to leverage AR and VR. In Adidas case, being able to view the exclusive shoe through AR, adds to the shoe’s exclusivity. High end customers are going to be impressed by the AR presentation of the shoe and I think it will make them more likely to pay more for these exclusive shoes. Walmart’s application to simulate Black Friday is also very practical. While it is probably impossible to actually simulate the Black Friday rush, it is much more feasible to do it through VR than doing drill in-store. Finally IKEA’s application, like so many other VR and AR apps, seems like such an obvious use for the technology. Furniture is a product that you cannot test and arrange in your home before you buy. Being able to see how chairs, couches, beds, etc. look in your home before buying is an incredibly valuable thing for customers and I believe this will give IKEA a big competitive advantage. I think smaller companies can find ways to improve efficiency as well as bring some novelty to their business with VR and AR and I can’t wait to see what they come up with! Great post! AR & VR will definitely create a huge opportunity for e-commerce, employee training, marketing, etc. for businesses that know how to use these technologies to their advantage and it’s great to see that some well-known brands are riding on this wave to create more value for customers. As you have pointed out, AR & VR give remote customers a chance to visualize the product or service before they buy it. Like IKEA and Flexential, I think e-commerce sites like Amazon, or any e-commerce divisions of businesses (maybe target.com, walmart.com, etc.) can also benefit from this technology as the consumer can have a better visual idea of the product they are buying, which reduces return costs and customer dissatisfaction.